New Jersey taxpayers soon will be forced to fund the top abortion business in America again. A bill to send $7.5 million tax dollars to the abortion chain Planned Parenthood is all but a done deal in New Jersey. The legislature passed the bill last week, and new Gov. Phil Murphy said the bill will be his first to sign in office, NorthJersey.com reports. “We have eight years of neglect to reverse,” the pro-abortion Democrat said Monday, repeating misinformation about state funding for low-income health care. The bill would reverse decisions by former pro-life Gov. Chris Christie to block tax dollars to Planned Parenthood, the nation’s largest abortion business. Christie, who is pro-life, vetoed Planned Parenthood funding numerous times and redirected the family planning funds to federally qualified community health centers. Pro-life advocates with New Jersey Right to Life criticized the governor for prioritizing abortion over basic needs. Interestingly, even a female lawmaker who supports Planned Parenthood voted against the bill after the abortion chain refused to say how it would use the tax dollars. Some lawmakers want more answers about how the money will be used. 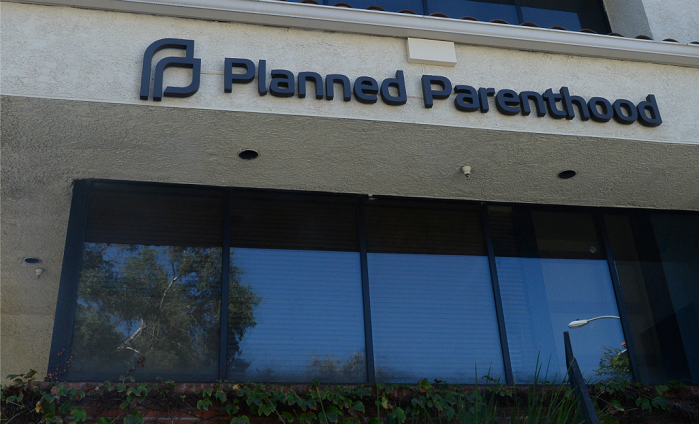 During hearings on the bill earlier this month, Republican Assemblywomen Nancy Munoz and Holly Schepisi pressed Planned Parenthood leadership for details on how the money would be spent and how much the organization pays its executives. The organization declined to say. Schepisi, of River Vale, said she was a supporter of the organization but that its “lack of transparency” swayed her to change her vote against the appropriation. “We continue to seek in good faith simple financial information that they refuse to give to us as members of the Legislature,” Schepisi said on the Assembly floor last week. Murphy plans to sign the bill Wednesday during a ceremony with abortion activists and Planned Parenthood CEO Cecile Richards, according to the Press of Atlantic City. Pro-abortion Democrats repeatedly said funding the abortion chain was their top priority this year. They claimed women lost access to vital health care during the eight years under Christie – a claim refuted by numerous sources. According to the state Department of Health, non-abortion family planning clinics, hospitals and other medical facilities received tens of millions of dollars during the past eight years to offer cancer screenings, prevention programs, STD testing and more to low-income women. Marie Tasy, executive director of New Jersey Right to Life, said federally qualified health centers in the state received funding to serve low-income women and provide more comprehensive health care than Planned Parenthood. “It is both irresponsible and unconscionable that Senate and Assembly leaders and Governor Murphy are moving full steam ahead to force New Jersey taxpayers to fund Planned Parenthood, an organization that is currently under investigation by the FBI for the illegal sale of baby body parts,” Tasy said previously. There are many reasons why the state defunded Planned Parenthood. Several years ago, the abortion group was found engaging in fraudulent Medicaid activity in New Jersey. The U.S. Inspector General for the Department of Health and Human Services uncovered a consistent problem with New Jersey-based family planning clinics run by the Planned Parenthood abortion business. A government audit found that they were improperly billing Medicaid for services that did not qualify as family planning. The state eventually returned the money to the federal government.